Here is a homeschool product we really needed. 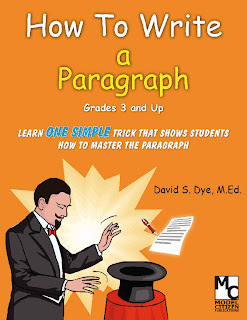 It is Create Better Writers, How to Write a Paragraph. I received a download so I decided to print it out and put it in a notebook. This walks you through the entire process. It is written in an easy to follow manner. We started out by each of my girls writing a sample paragraph. After I looked them over it was time to move on. They then learn the 5 main parts of a good paragraph. They should memorize these. You can let them try to guess the 5 main parts if you would like. I did ask a couple of teenagers we know if they could name the 5 parts of a good paragraph and they pretty much could only name one or two. All throughout the program little tips and hints are given for you to help your students. 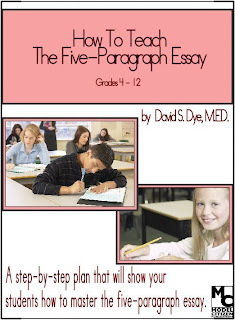 By the time you have finished this program you should see a big improvement in their paragraphs. "I began taking ideas from books, workshops, and district approved material and altering these ideas to make them more productive. I knew that I was on to something when teachers began using my ideas in their own classroom. When you see the improvements in your students’ writing abilities, you will see the incredible value of this program. It’s a program you buy once and learn once. 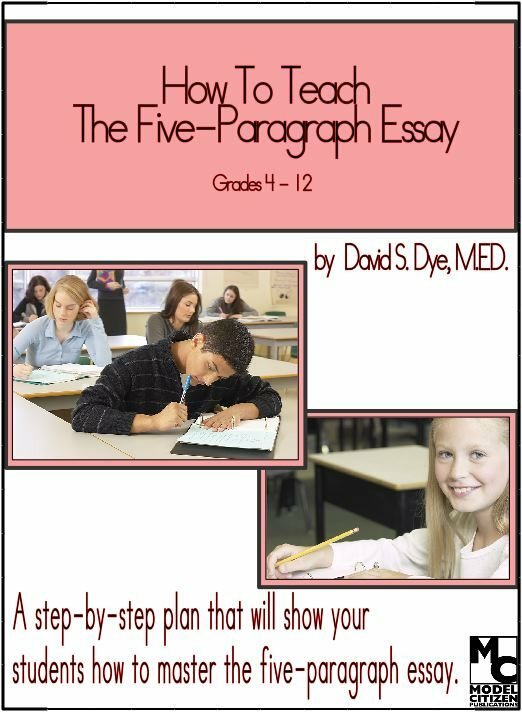 However, you will be using these powerful step-by-step procedures throughout your teaching career. What is the value of this program? Honestly, I can’t say. All I know is the extreme joy I feel when my students skillfully use the new writing concepts that I have taught them. I feel good when I’m able to help other teachers improve the quality of their students’ writing. Finally, I’ve known great satisfaction when, at the end of the school year, I compare my students' writing to samples from the beginning of the year. It is clear that they have improved immensely. To me, this program is priceless. I want every teacher to feel the same confidence and satisfaction. " 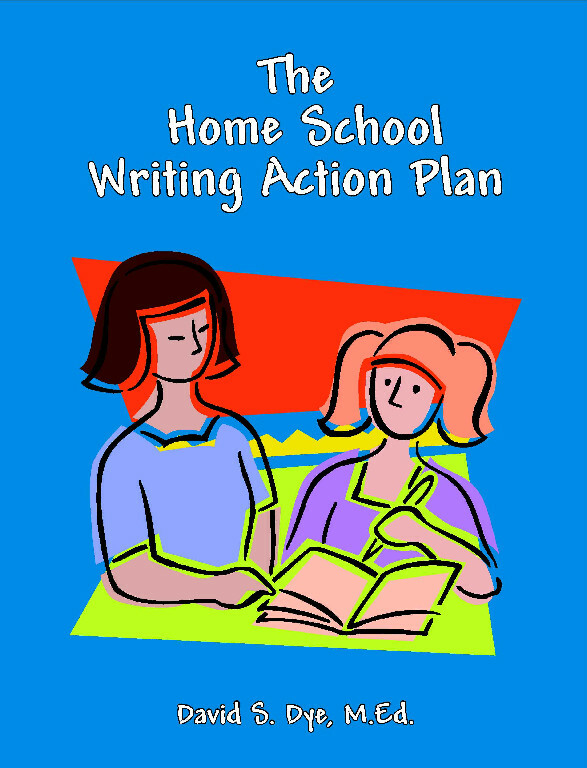 We also received the Homeschool Action Plan and How to Teach the 5 Paragraph Essay. By the time we finish the program, my children will have a complete understanding of writing good, quality paragraphs and essays. They will know the parts and know exactly what to put into a well thought out paragraph. Not only will this help them with school, but it will improve the quality of the blogs they work on! This program is definitely easy to work with and adjust to your personal use. Once again you can use it by itself or use it as a supplement to what you are already using. 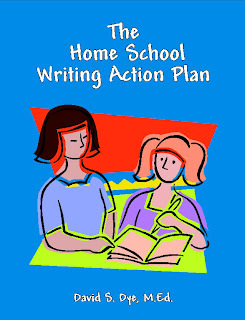 I believe this would be a great benefit to any homeschooling plan. To see what other Crew members think, click on the banner below.